Though it’s probably the smallest room in your home, the bathroom is also one of the most-used rooms in your home. Naturally, with more use comes more potential for clutter. What are your biggest challenges? 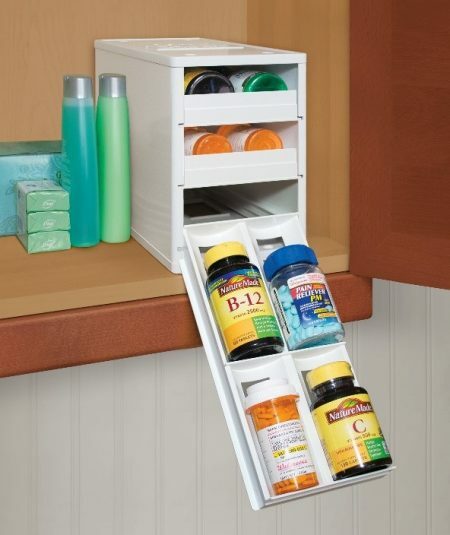 Keeping your bathroom counter organized? The random items in your drawer that you might not need? Unhung towels? Your child’s toys in the bath tub? It’s a lot easier to organize your bathroom—and keep it that way—when you have less stuff to begin with. Start by decluttering. Set aside an hour or so to empty all cabinets and drawers, or declutter one drawer or shelf at a time over a few days. Using the floor as your sorting place, group like items such as soaps, shampoos, dental supplies, nail care, and makeup. Trash the trash as you go. 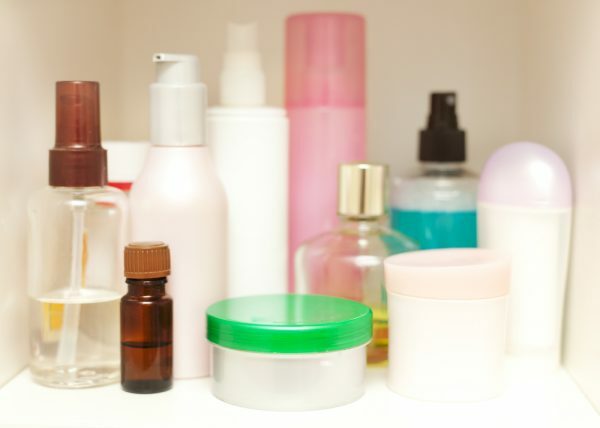 That means toss sunscreen, lotions, other toiletries that are past their expiration date, sticky nail polishes, and anything that doesn’t look or smell like it did when it was new, including makeup. Separate expired and unused prescriptions as well as over-the-counter medicines for proper disposal. If your local pharmacy has a medication take-back program, bring your unwanted medications to them. If there’s no take-back program in your area, mix your unwanted medications with liquids, cat litter, coffee grounds, or dirt. Then pour the mixture into a sealable bag or a tin that you can seal with a lid. That way, no one will take the medications out of the trash and ingest them. Do the same with medicines in pill or capsule form, add water to dissolve them, and dispose of the bag in your household trash. Chances are good that you have duplicates of certain things in your home. Decide how many of those items you want to keep. Then distribute excess toiletries to other bathrooms for example, and discard or give away everything you no longer use, like, want, or need. You can also pare down your collection of towels. If you’re doing laundry regularly, two weeks’ worth of towels should be enough. As you decide what to store and where, consider accessibility. Think about how and where you use items and how often you use them. Store frequently used items where they will be most convenient. Store things you access occasionally or rarely in less prime locations, such as the back of a cabinet or upper shelf of a closet. This might include extra bars of soap, rolls of toilet paper, and boxes of tissues. It may be tempting to leave frequently used things on the sink counter, but what if all you left on it was hand soap? If that’s a bit too minimalist for you, try storing everyday items on a decorative tray or in a basket for a cleaner look. Keep in mind that the less stuff you leave out, the easier it is to clean your countertop. Use drawer organizers to keep drawers organized. Or repurpose empty checkbook boxes or baby wipe dispensers into dividers. 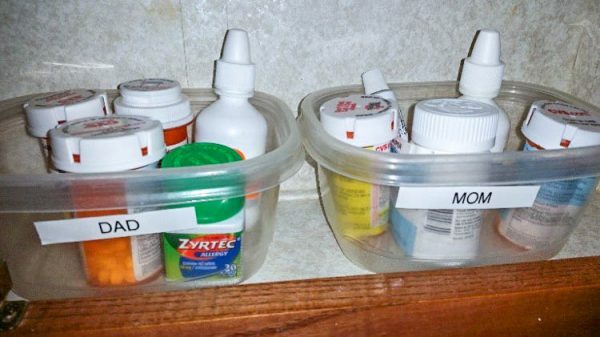 And be sure to keep cabinets organized with labels and clear, stackable bins. Pro Tip: Labeling shelves and bins provides a visual cue that will increase the likelihood that everyone puts things back where they belong. 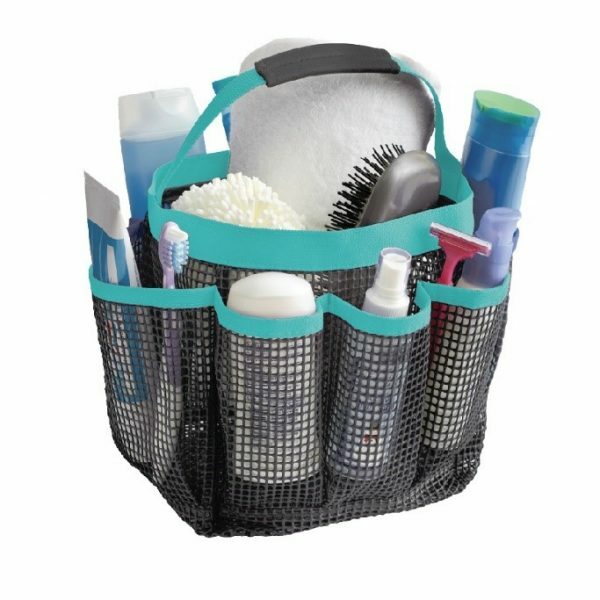 Another option for storing personal toiletries is a bath caddy or tote for each family member or roommate. What’s nice about this bathroom storage hack is that it’s as easy to put away as it is to retrieve. Plus, if storage space is limited, you can always store the tote in a linen closet or bedroom. By the same token, keeping makeup in a bag or bin on a shelf is one of many smart ways to store makeup for easy access. Bonus: When you travel, you don’t have to think about what to bring because your makeup kit is ready to go. Cabinet space is often underutilized. You may be able to maximize the space in your linen closet and bathroom cabinets by adjusting their shelves to better accommodate items of different sizes. For example, position shelves so that you can store three rolls of toilet paper and a foot-high stack of bath towels on one shelf, and shorter stacks of hand towels and washcloths on the shelf above it. If you can’t adjust your shelving, add a hanging shelf or two to maximize the vertical space in your cabinets or closet. A turntable or lazy Susan is the perfect solution for deep or hard-to-reach shelves. 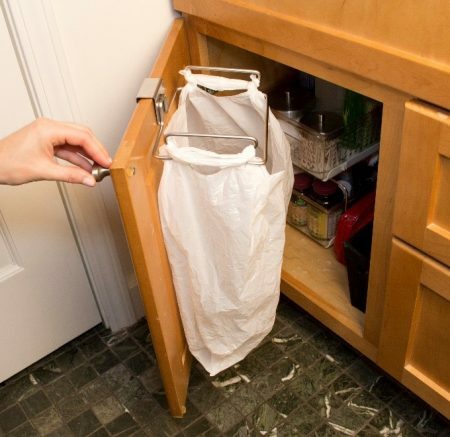 Wire mesh sliding baskets also make good use of deep cabinets while providing easy access for frequently used items. Most products that are made to organize spices are perfect for storing prescriptions, vitamins, and over-the-counter medicine bottles in a bathroom cabinet. Some things are best hidden behind closed doors. If you need more closed storage space, move bulk purchases of paper products to a linen closet or maybe even under a bed. 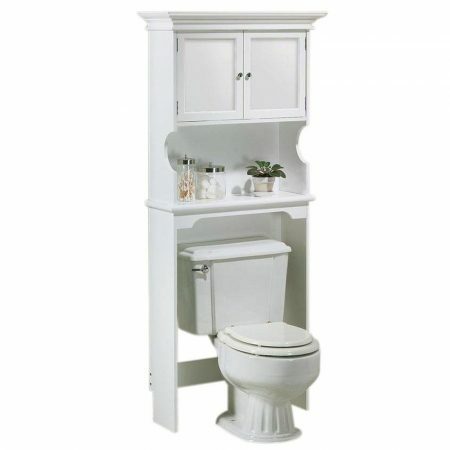 Consider adding a freestanding, ready-made cabinet/shelving unit for extra storage space. Or roll towels and washcloths, and store them in a decorative basket near the bathtub or shower. Think you don’t have anywhere to hang anything? Make use of the space behind doors. Invest in an over-the-door rack with multiple hooks for hanging wet towels, bathrobes, and other articles of clothing. Or hang a shoe bag organizer on the back of a door, and use it to store toiletries and other bathroom items like rolled-up magazines. Another quick, no-tools-required storage solution is to hang a few hooks that adhere to any surface and remove easily without marring. They come in finishes to match any décor, and in a variety of sizes to hang everything from bath towels and laundry bags to hair dryers and flat irons. 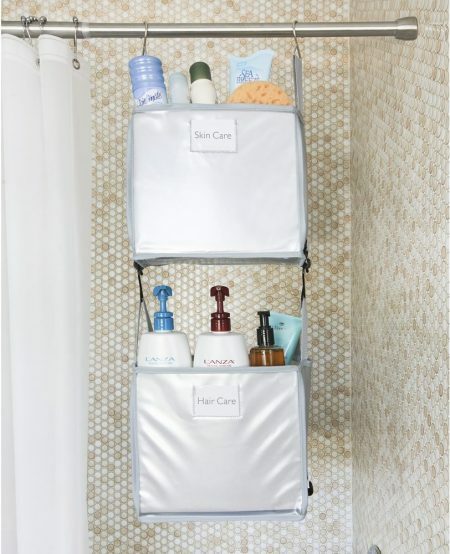 Everybody knows that a shower or tub caddy helps to keep the bathing area clutter-free. But one caddy rarely offers enough storage space to accommodate the product needs of multiple family members or roommates. The solution is simple: Organize bath and shower toiletries by family member or roommate name in buckets, and then hang the buckets on your shower curtain rod. The buckets are also great for storing bath toys when they’re not in use. If you discovered any unopened and expired items, buy less of those items next time. 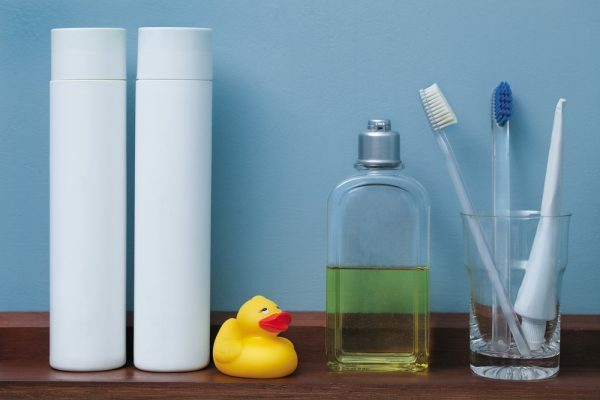 Use up toiletries before buying more. One bottle of shampoo to replace the one that’s in use is plenty. When you get new prescriptions, dispose of the outdated ones. Also, mark expiration dates on bottles with a Sharpie so you can easily see when it’s time to dispose of them. Keep cleaning supplies handy to make quick clean-ups easier. Follow the advice in these steps, and chances are high that your bathroom will look, and stay, clean. This article was written by Donna Smallin Kuper, an organizing and cleaning expert who is also the author of a dozen best-selling books on uncluttering, organizing, cleaning, and simplifying life. Currently writing for Home Depot, Donna is often quoted by the media, in Better Homes & Gardens, Real Simple, and Woman’s Day.